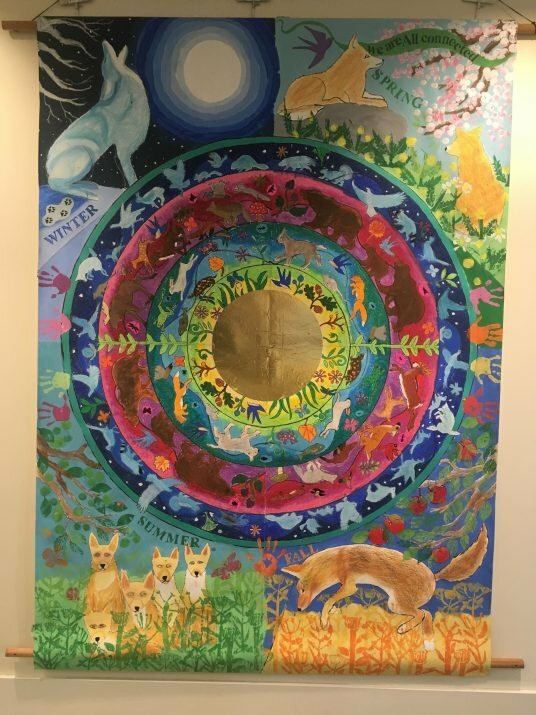 After learning about Coyotes as the keystone carnivore …and coming to understand that all things are connected, the children from kindergarten to grade 8 created this most meaningful mural. Take a few moments to drink it in…. WOW!